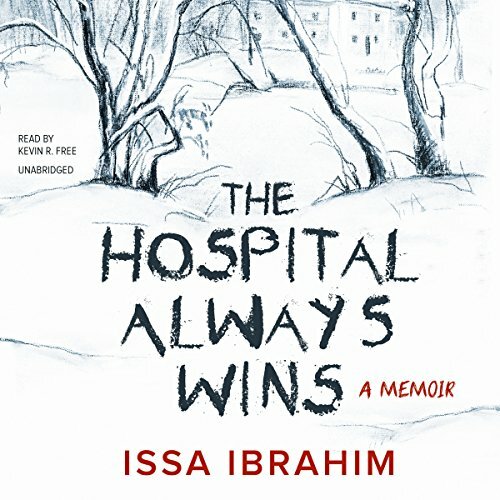 Issa Ibrahim's memoir details in searing prose his development of severe mental illness leading to a horrific family tragedy, his acquittal by reason of insanity, and his subsequent commission to a mental hospital for nearly 20 years. Raised in an idyllic creative environment, Mom and Dad cultivating his talent, Issa watches his family's descent into chaos in the drug-crazed late 1980s. Following his father's death, Issa, grief stricken and vulnerable, travels down a road that leads to psychosis - and to one of the most nightmarish scenarios conceivable. Issa pleads insanity and is committed to an insane asylum with no release date. But that is only the beginning of his odyssey. Institutional and sexual sins cause further punishments, culminating in a heated legal battle for freedom. Written with great verve and immediacy, The Hospital Always Wins paints a detailed picture of a broken mental-health system but also reveals the power of art, when nurtured in a benign environment, to provide a resource for recovery. Ultimately this is a story about survival and atonement through creativity and courage against almost insurmountable odds. ©2016 Issa Ibrahim (P)2016 Blackstone Audio, Inc. Gave up after 1.5 hours! Gave up after 1.5 hours. Most of it was about family dynamics, goals and gossip. Not entertaining or informative! Maybe 15 minutes from the first 1.5 hours was about experience from the mental hospital. Not what I was expecting.